Since I was a young child I have always been captivated by how some people can pick up a camera and create something extraordinary. It was as if they were able to see something that others could not. They captured emotions, true beauty and things that we hold so precious since memories fade. I learned in my teen years that I tremendously enjoyed taking pictures and hoped that one day I would be able to help others capture those special moments. Fast forward twenty years and here I am. Still working to perfect my craft. Blessed... that is how I feel. I am married to a wonderful man; Walt, and I am very grateful to have three beautiful and amazing children: Evelyn who was born in March 2006 and became our Angel in Heaven a month later, Ally born in April 2008 and is at such a fun age, and our little man Gavin, born in July 2011 who's quick to offer a kiss or a smile. With life's ups and downs I have come to realize how fragile and precious life truly is and have learned to try and embrace and enjoy every moment. So if you are curious about the name of my business, AE Photography, it is after my girls Ally & Evelyn. How they have impacted my life is beyond words! Now how to include my son's name is a tricky one!! Time... Doesn't it go by too quickly!?!?! Seems like just yesterday my kids were tiny newborns barely able to open their eyes, and now they are both running around building forts and riding their bikes. From their sweet smiles when I cuddle with them, or the funniest face they can make, I wish I could bottle moments up forever! With the daily rush of life, isn't it nice to be able to look at an image on the wall and just have the rush of feelings and takes you back in time. This is what I would like to help you with because time goes by too dang quickly! Luckily there is a way to!! when you hire me to help you capture the essence of your family. I am very confident that you are going to love your images, that I guarantee each and every session! 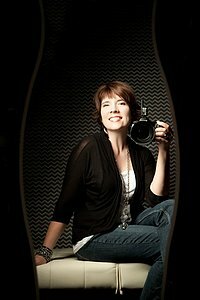 Hiring a true professional that knows how to interact with even the most difficult subject, how to get that true smile and not the fake one, has the training to light someone to flatter them, and knows how to use my "magic wand" to get rid of blemishes and much more, is how I create the portraits I do! it's not just a snapshot, you're going to have a family heirloom. I am willing to do everything in my power to accomplish this. If this means standing out in 100 degree weather, lying down in mud to get the perfect angle for a shot, or simply spend countless hours perfecting your images, this is how important it is to me to get it just right. Because after all, my goal is to present you with high quality images; my gift to your family, that will last a lifetime. Kansas City Portrait photographer, Kansas City Northland photographer, Kansas City River Market, Missouri Photographer, infant photographer, infant portraits, infant photography, newborn portraits, newborn photos, newborn photographer, baby photographer, baby pictures, baby photos, maternity portraits, maternity photography, maternity pictures, baby shower, baby shower gift, Kansas City child photographer,child pictures, child photos, child photographer, child portrait, child photography, Kansas City family photographer, family potraits, family photographer, family photography, pet portraits, pet photos, pet photographer, pet photography, kansas city senior photographer, senior pictures, senior portait, senior photographer, photo, picture, kansas city photographer, picture studio, outdoor photographer, on location photographer, newborn photographer, newborn pictures, kansas city, missouri, kansas, studio, photo session, black and white photos, black and white portraits, natural light portraits, natural light photographer, Boudoir photographer, Portrait party, AE Photography.